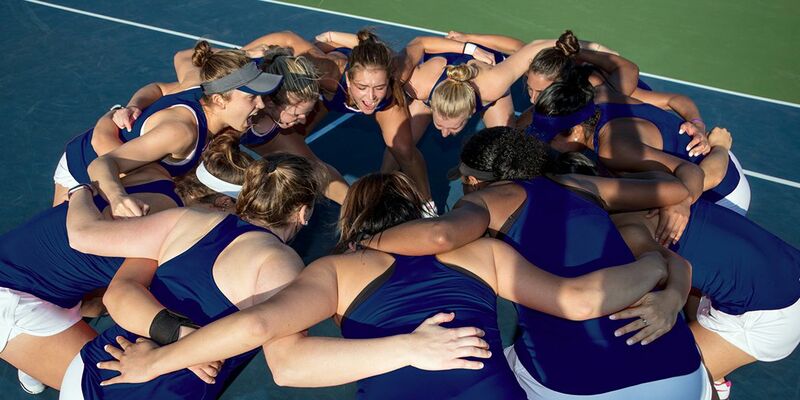 The United States Tennis Association (USTA) has announced an exciting new way for former college tennis players to reconnect with their old teammates and opponents with the College Alumni Tennis Classic. This event is scheduled for Friday, December 14 through Sunday, December 16 at the USTA National Campus in Orlando, Fla.
►The USTA College Alumni Tennis Classic will be held Friday, December 14 - Sunday, December 16 at the USTA National Campus. ►Entry fee is $350 per team before November 1. After November 1 entry fee is $400 per team. This covers the cost to play in the tournament as well as attend the player welcome party. ►Teams are required to consist of a minimum of 4 men or 4 women from the same school. ►Each player on the team must have played varsity tennis for that school at some point in the past, and cannot be currently enrolled. ►The event will consist of non-elimination draws. Each team match will consist of the only doubles matches. The scoring Format will be one 8-game proset (no-ad). ►Proceeds from each team’s entry fee will be donated to that team’s current college tennis program. ►An additional $500 will be donated to the winning teams’ university in both the men’s and women’s divisions. ►Free BBQ Dinner and drinks on Friday night. ►Matches are played all day on Saturday, and on Sunday morning. Event will conclude by 12:00 p.m. on Sunday.